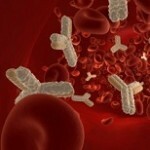 Cancer immunotherapy is the use of the immune system to reject cancer. Gammadelta (γδ) T cells are an immune cell found within epithelial tissues. Epithelial tissue is found throughout the body. It is present in the skin, as well as the covering and lining of organs and internal passageways, such as the gastrointestinal tract. Epithelial tissues are also a prominent component of glands, such as prostate gland. γδ T cells play unique and critical roles in recognition of damage or disease in epithelial tissues and provide a crucial first line of defense. Adipose tissue (fat tissue) is currently recognized as an endocrine organ similar to thyroid and pancreas, due to their ability to secrete hormones such as leptin and estrogen and estrogen that could affect metabolism, inflammation and cancer progression. We now know that tumor growth is regulated by interactions between tumor and their tissue microenvironment, such as fibroblasts, immune cells and the extracellular matrix. 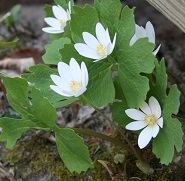 Bloodroot (Sanguinaria canadensis) has been used historically by some Native American tribes as a medicinal agent to stimulate the digestive system. It has also been used medicinally as a remedy for fevers, as an expectorant for chronic bronchitis and as a local application in chronic eczema, especially when secondary to varicose ulcers. 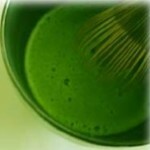 Much of the cancer chemopreventive properties of green tea are mediated by EGCG. Cancer cells survive by using multiple pathways. But EGCG is so powerful, it cuts those pathways off. Apparently, EGCG functions as a powerful antiangiogenic and antitumor agent and as a modulator of tumor cell response to chemotherapy. EGCG induces apoptosis and promotes cell growth arrest by altering the expression of cell cycle regulatory proteins, activating killer caspases, and suppressing oncogenic transcription factors and pluripotency maintain factors. EGCG is also able to induce proteasome inhibition in whole cells. Since the inhibition of the proteasome blocks the activation of NF-kB, it is logical to conclude that proteasome inhibitors such as EGCG would have a strong therapeutic effect against cancer, lymphoma and leukemia…. EGCG (epigallocatechin gallate) is the most abundant and perhaps most important catechin found in green tea (camellia sinensis). 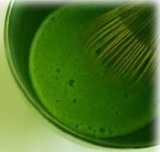 Catechins are polyphenolic antioxidant plant metabolites and belong in the flavonoid family. EGCG functions as a powerful antioxidant, preventing oxidative damage in healthy cells, but also as an antiangiogenic and antitumor agent and as a modulator of tumor cell response to chemotherapy. There is a huge literature showing that EGCG kills cancer cells of all kinds. 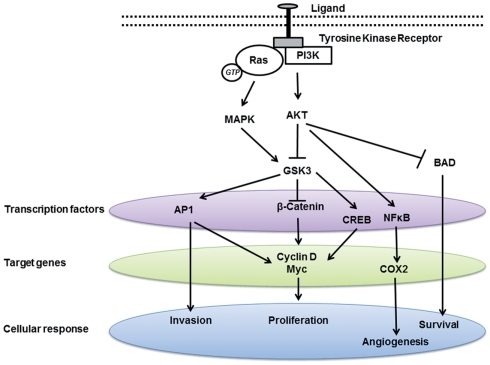 EGCG reactivates epigenetically silenced genes in cancer cells and induces apoptosis and promotes cell growth arrest, by altering the expression of cell cycle regulatory proteins, activating killer caspases, and suppressing nuclear factor kappa-B (NF-kB) activation. There is a connection of immune function with just about all nervous system disorders. The immune system is important not just for the nervous system, but for basically any disease in the body. Many diseases are due to chronic inflammation or the fact that the immune system attacks our own tissue. Any disease that results from such an aberrant immune response is termed an autoimmune disease. The main component in nervous system disease is really “autoimmunity”. Such neuropathies as chronic inflammatory demyelinating polyneuropathy (CIDP), Guillain-Barré syndrome (GBS), and multifocal motor neuropathy (MMN) are caused by autoimmune mechanisms. Neurological autoimmunity can target virtually any structure within the central or peripheral nervous system and often in a highly specific way, targeting a very specific cell population.